This is a short feature post on this blog’s own Windows 8 app. You heard right! 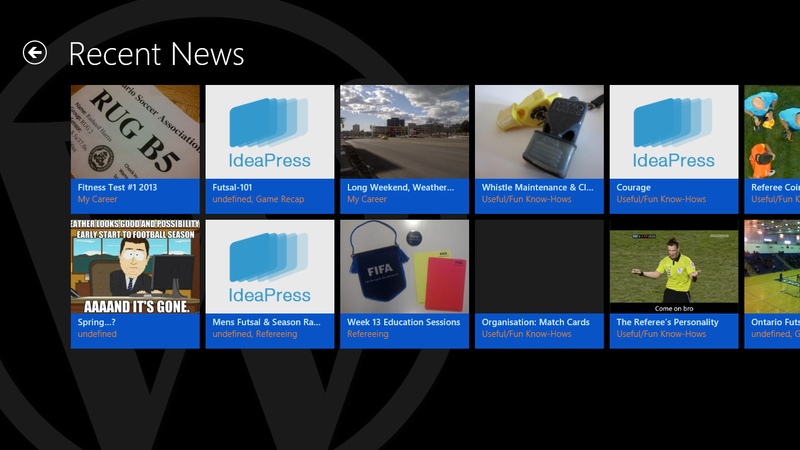 A Windows 8 app for the blog. If you didn’t know already, see this page for more details and for the Windows Store listing. A feature on the magnificent Refsworld Organiser. I think the photos of this product are far more deceiving and don’t live up to the usefulness of this product. More interestingly, here are some photos of my own organiser. I already have a page up to connect referees with other great resources online (Network of Referees Online) but I think featuring my favourites will really send the point home. One of my colleagues, DF, suggested that I try out RefereesWorld’s podcast. Now when this was suggested, I had absolutely no clue what a podcast was let alone try to figure out how to work it.